The Claris i4D’s unique optic technology allows for the highest image fidelity. With a SONY® CCD Sensor, you can count on sharp, accurate images. Made in the USA, the Claris i4D is in a class of its own. Be assured of top quality parts expertly engineered. 2-year manufacturer warranty, including parts and labor. 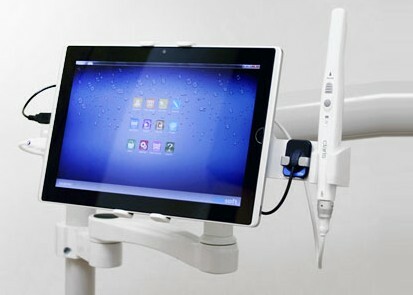 The award winning Claris i4D Dental Intraoral Camera is the highest quality intraoral camera in the dental market. 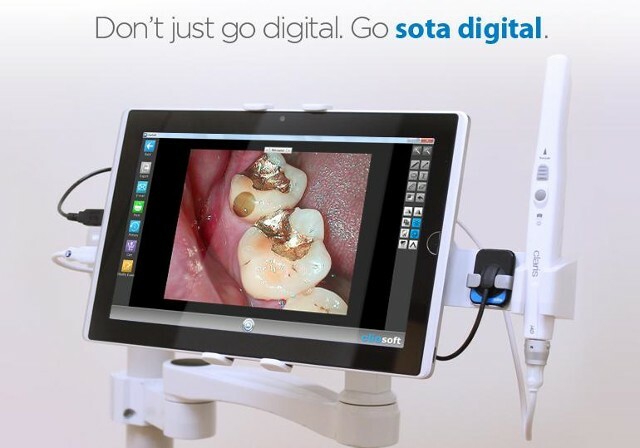 Designed and manufactured in Southern California by SOTA Imaging, the Claris i4D boasts a unique high end lens, hand control focus, and compatibility with almost all dental imaging softwares. • Integrates seamlessly with almost all dental imaging software. • Frame Rate – 30 Fps Max. Cliosoft, Dentrix, Dexis, Eaglesoft, Kodak, Apteryx, VixWin, Patient Gallery,TigerView, Suni, Sidexis, XDR, Practice Works, SoftDent, MOGO, Instrumentarium, Image FX, EVA, Easy Dental, Imaging Adstra, XV3 The Claris i4D integrates with most all imaging and practice software currently on the market.